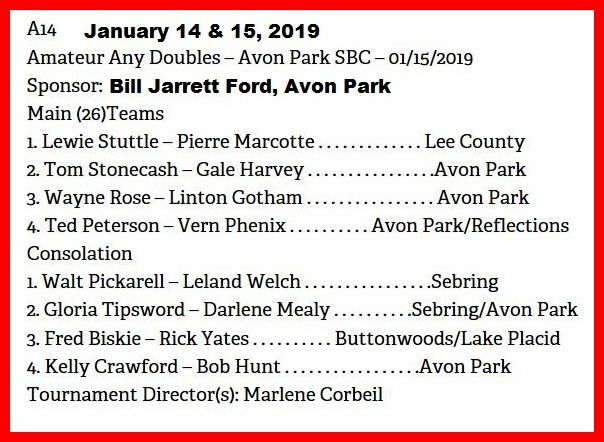 FSA Tournament A14 Hosted by Avon Park Shuffleboard Club. We were delighted to host 52 aspiring Amateurs on Monday & Tuesday at our historic facility in beautiful downtown Avon Park, “The City of Charm”. Morning temperatures were in the brisk 50’s, so we were not able to fully enjoy all the opportunities available here in Donaldson Park and the adjoining playground beaches of Lake Verona. With the addition of more than 60 new Amateurs at Avon Park during the past year, TD Marlene Corbeil was kept very busy! Marlene, very professionally and very patiently, directed the tournament smoothly and everyone had a great time! Mega Thanks to Marlene!!! 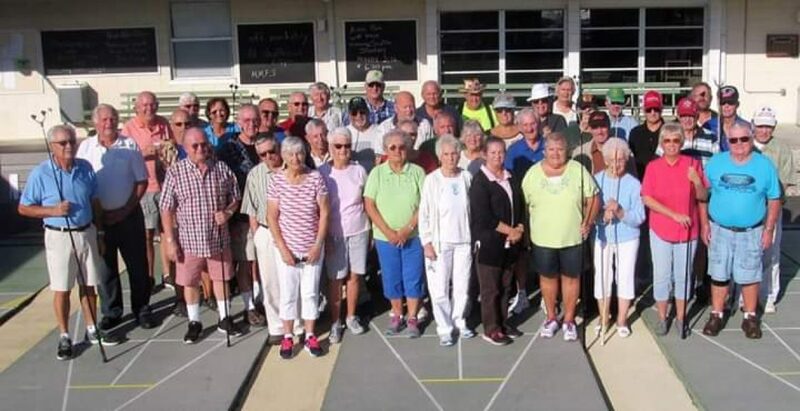 Next postSebring Recreation Club Hosted A Amateur And Pro Mingles / Singles Shuffleboard Tournament On January 22, 2019. We Had A Great Turn Out With 28 Amateurs And 33 Pros Present. We Would Like To Thank All The Shufflers Who Participated In This Wonderful Event. It Was Indeed A Fun Filled Day! We Would Also Like To Thank Rosemary Comeau, Harold Comeau, And Cathy Renwick For All The Hard Work They Did To Help Make This Tournament A Success. Amateur Photo Winners Are Below First, Then Pros Will Follow. Winners Will Read From Right To Left.